Valentino Rossi believes Yamaha's inability to significantly improve the M1 during the season played a critical role in the 2016 MotoGP title fight - and expects significant improvements with the machine's engine and chassis ahead of next year. Both Rossi and Jorge Lorenzo were unable to reel in Honda's Marc Marquez in the season's second half, despite starting the year from a position of considerable strength. The Movistar Yamaha riders won five of the first seven grands prix, but the Japanese factory's winless streak has now stretched to eight races, the M1 last emerging from a race triumphant at Montmeló in June. While Rossi sampled a new chassis and swingarm at Brno in August, he soon discarded both components, feeling they provided no significant upgrade on what he was using before. Compare this to Honda's 2016 RC213V. Although it was some way off the pace in preseason testing, Marquez has seen his machine steadily improve from Barcelona onward. In Rossi's eyes, ultimately Yamaha's inability to replicate the mid-season improvements of '14 and '15 have cost both riders dear. “The problem, especially compared to Honda, is that during the season we have some new stuff but unfortunately we are not able to make the step that we did in 2015, and also in 2014, during the season. “At the end of those seasons we were very strong. Unfortunately this season we are not able to. We need to follow some other way and I think we will see the  bike at Valencia, after the last race. “We always speak a lot and I try to give my experience, my feeling to improve the bike. The relationship with Yamaha after a lot of seasons is very good to try and improve. “They work a lot on the engine and the chassis but I don't know anything [about the new bike]. It will be very interesting to see the new bike because we start this season from a very high point." Rossi was asked whether crashing out (for the third time this season) in Motegi, thus allowing Marquez to seal his third premier class title with three rounds to spare, was the source of some pain during the following days. 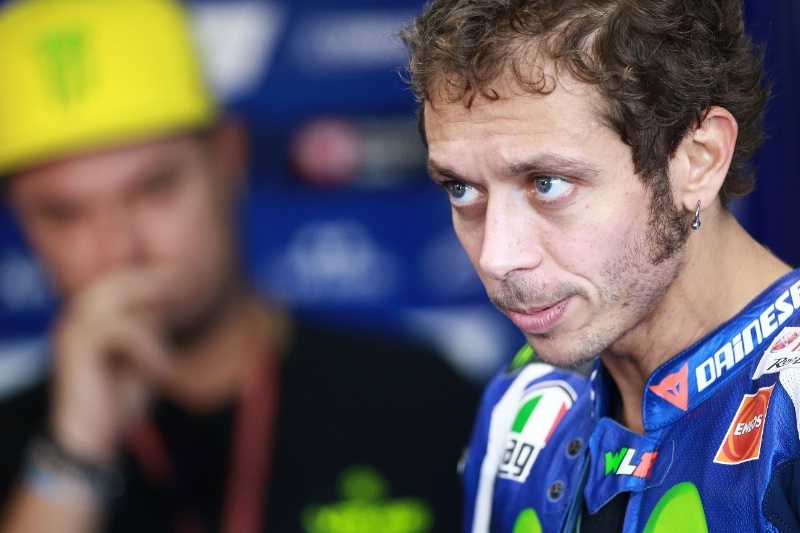 But rather than feel aggrieved at watching his sworn enemy wrap the title up, Rossi explained how losing the chance of securing a strong result was of greater irritation. “At the end I was very – not angry – but sad to lose an opportunity to make a good race and try to fight, to bring something home after the good practice and the pole position. When you do like this it's a great shame because you have to go home. Looking ahead to the final three races, the first of which is at Phillip Island, Rossi's aim is simple: to place inside the top three in Australia, Malaysia and Valencia. “The biggest motivation is to try and make points, to arrive at the end of the three races and fight for the podium here, in Sepang and Valencia. “There are very different conditions, very different tracks, I like all the tracks except Valencia. That's more difficult for me so I have to work hard to make a good result. In Malaysia I like the track a lot. We have the new asphalt. But also it's a great challenge because it's the toughest race of the year for the temperature.